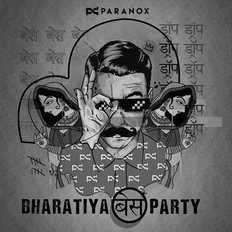 Award winning Trap & Bass DJ /Producer "Paranox" aka Parakh Mathur, is arguably the pioneer of Trap & Bass music in India, and has played on India’s biggest stages and venues including Vh1 Supersonic & Sunburn. 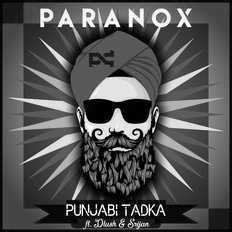 Paranox is the 2nd Indian who’s featured on Beatport TOP 10 and his track ‘Punjabi Tadka’ got premiered on BBC Worldwide. Shared stage with Lost Stories, Zaeden, Nikhil Chinapa, Teri Miko, Candice Refddings, Siana Catherine, The Dirty Code, Olly Esse & many more. The suspicion and enigma, as evoked by the epithet 'Paranox', is also the cornerstone of the vivid assortment of Trap & Bass Music. The prodigious talent won the RCFA Best Electronica Artist for his track "Blood Rage". Also, Paranox starred twice in Beatport Top 10 Charts world wide. With his multiple recent achievements and multi-genre spanning releases encapsulating and enamoring an audience the world over, Paranox has earned the title of being a ‘Man of the Masses’. Notwithstanding, there never has been any dearth of critical acclaim. He has been featured by 'Disc Jockey India' magazine and his songs have been performed on and have been featured by various T.V. and radio channels in India including channels like VH1 (Music Diaries) , NDTV , ZEE , Radio City and BBC respectively.